Our love is true, our love is strong, and our love endures. Though for the moment, our passions and our sentiments may not be shared; I know that in the end, we are meant to be together. This letter is long overdue. Our separation has been long and arduous. To be honest, I really didn’t notice you much at first. This is somewhat ironic, having spent no small amount of my early years as a wallflower myself. You should know that the first time I saw you at the aquarium, I quietly found you attractive. My socio-politico standing of the day prevented me from admitting it in previous company. I kick myself a little for not having inquired about you further way back then. It was not until a few friends and mentors demonstrated your merits that I came to appreciate your unrivaled beauty and unique talents. I know I promised to write much sooner, and I apologize for my tardiness. I had some feelings I needed to process in order to be fully present in engaging you. You should know that I have had brief trysts with a few sharks during our separation. I felt it was important to explore that part of myself. You can’t really fault me for needing to know. People always wondered if I preferred cartilage over bones, and I guess I began to question it myself. On this subject, I can say with certainty that it was neither. I have always been open to new attitudes, at least until I can reconcile them with my own needs. I know now that when it’s all said and done, I need you. I fear that addressing you so long after I promised I would be in touch, has given you the impression that I find you inadequate. This could not be further from the truth. I extol you. In my eyes, you are not defined by the things you lack. I have never seen you as “jawless”, or “without vertebrae”. I must admit, I blush a little when I think on the fact that not having a spine which most folks find socially defining makes you, well, acrobatic. Just the thought of that little “plunger” thing you do with your tongue and your rasping teeth keeps me distracted for days, even at work. …especially at work. 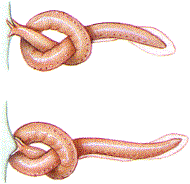 I mean, the way you can just tie yourself in knots… I’m sweating a little just writing about it. 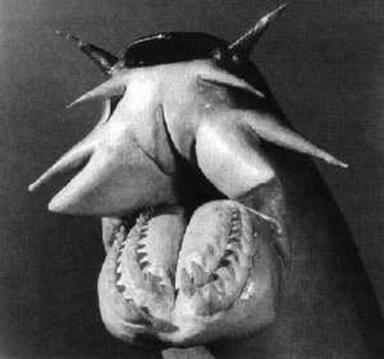 No my dear Myxie, when I look at you, I don’t see a “jawless” fish. I see efficient practicality. I see an agile contortionist. I see bravery, and I see ingenuity. You know that I prefer to keep the language of my sentiment modest, however at the risk of sounding crass, I see lubrication. You got a real purdy mouth. 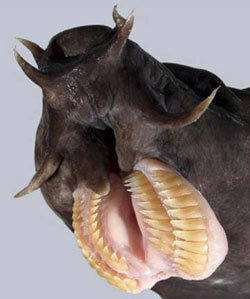 Hagfish pull their tongue in with a “plunger like” suction that draws their rasping teeth together to tear holes in rotting flesh. 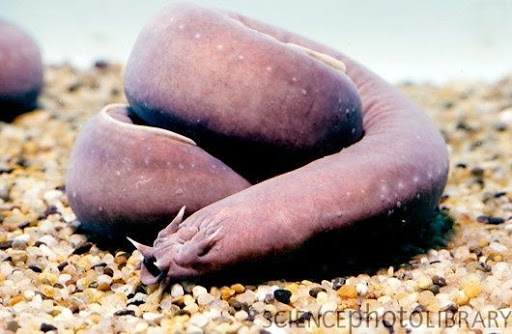 Hagfish tie themselves in knots to pull open the flesh of a carcass. It’s simply acrobatic. I have never known a fish to clearly express so much in such useful ways. I wouldn’t call it a glandular disorder so much as, making the most of what you’ve got. Producing such copious amounts of slime almost instantaneously is noting short of breathtaking. I mean, literally breathtaking for some. It was really hard not to laugh out loud when I saw that home video of the time that shark got its gills clogged up when it tried to eat you. Serves it right! I can’t believe you can really fill such a large bucket with fibrous mucous so fast! With so much to offer, I suppose it was only a matter of time before other people would notice and try to take advantage. It’s a good thing you are able to make that much in short order. Some talented people seem to think your slime may be used to make textiles. Imagine; you could be the foundation of fashion for the price of snot! While your critics bemoan your jawless state, they fail to ask the obvious; “How does a fish who can’t bite, take in her nutrients?” Embarrassingly, they’ve overlooked the finer qualities of your smooth, sensitive skin. A small mouth is considered lovely in many a polite society, but I can see how it wouldn’t seem enough to an outsider. I find it gracefully efficient that your joyful expressions of protein-love help you absorb food nutrients through your gorgeous integument while you’re completely engrossed and buried in your meal. How clever to absorb food through your skin! It just makes sense that your slime would also protect the very carcass that you devour by clogging the mouths of would-be usurpers, even as it helps you to slake your own hunger. One day, when the time is right, this is how I imagine us together. I feel revulsion in my belly at the idea that small-minded men have made attempts to pilfer your silky hide for such paltry things as wallets. I am relieved that they have unwittingly sabotaged their own industry for such things, by using magnetic staples that erase the credit cards stored in them. In this one case, it is a blessing that you took the blame. Were your skin, or any part of you to erase my corporeal being, I would still (and do) crave it inside me, and out. I feel we are close enough to broach what I hope is not a sensitive subject. I mean no disrespect in my mentioning this. The lengthy hiatus you regularly take from eating is worrisome to those who don’t know you so well. I know it’s not what they say. Seven months does seem a long time to avoid food, but I have never doubted your motivations. I know you are not insecure about your beautiful figure. I would never label you anorexic. It’s not really starving yourself if you’re not really starving. For what it’s worth, I love you absolutely, for just who you are. I just wish that you lived closer. There’s so much more food available up here. I know I missed Valentine’s Day, however I would not define our relationship by the social constructs of others. In the grand scheme of things, I think it prudent to have taken time to carefully consider my thoughts and feelings, and forge a solid foundation for our future together. I wanted you to know exactly how I feel in the hopes that it will ease the passage of this forced absence. I cannot join you so long as I am inconvenienced by obligatorily breathing air. I remain faithful that our eventual, and inevitable union will be met with great exuberance. 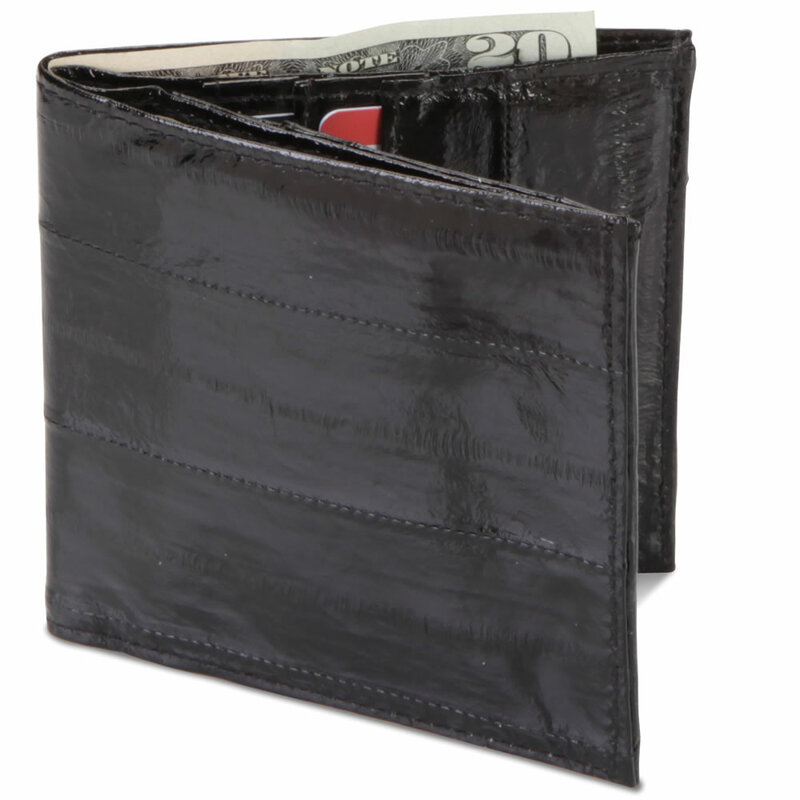 “Eel skin” wallets demagnetized credit cards because they utilized magnetic staples in the manufacture process. The hagfish took the blame, and the fishery for them ended. Your eyes may not see, but your senses are sharp and I know that in the end, you’ll find your way to me in the dark. You already have me tied in knots, and have pulled a hole in my heart. This entry was posted in Love Letter, Shorter Post and tagged burial at sea, Commitment, Deep Sea, Hagfish, Love, Slime, Valentine's Day by Chris Reeves. Bookmark the permalink. You’re amazing. I read this one in Jared Kibele’s voice too. Don’t ask why. It just happened and felt right. Once again amazing ocean and amazing author.